Amazon has concluded its 14-month search for a second global headquarters and selected Crystal City, Virginia, and Long Island City, Queens, New York, to host the split HQ2. But the search has yielded more than just that. The big picture: When Amazon invited cities to compete for HQ2, it got reams of data from the 238 entrants — enough to learn details of the cities' future plans that a lot of their residents don't even know. Why it matters: The information effectively provided Amazon with a database chock-full of granular details about the economic development prospects of every major metropolitan area in the United States (and some in Canada). For a rapidly expanding tech behemoth like Amazon, that database could help it make expansion decisions that go way beyond the new headquarters. Companies have conducted site searches in the past, but none have come close to the scale of the Amazon HQ2 search. That's because Amazon is "not just looking for HQ2," says Joe Parilla of the Brookings Institution. "They're looking for where they're going to put the next data center, the next logistics center, the next R&D facility." Amazon's warehouses are within 20 miles of 31% of the U.S. population, while Walmart — its competitor — owns stores within 20 miles of 98% of the population, says Cooper Smith, an industry analyst at Gartner L2. "Given they are siting new facilities like mad, this is a huge gift provided by taxpayers," Richard Florida, a professor at the University of Toronto, tells Axios. Much of the quantitative data that Amazon picked up from cities is publicly available, Parilla says. 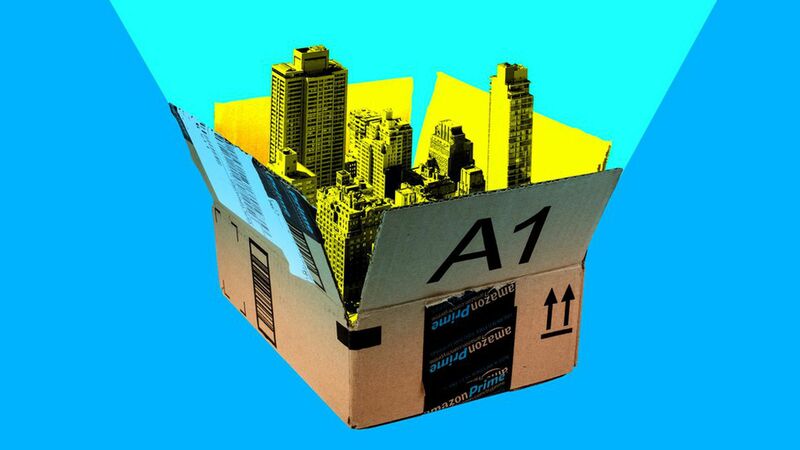 What matters is the qualitative data cities offered up — they let Amazon in on their wildest dreams. The sort of details that might be in a typical HQ2 application include plans for new train stations or shopping complexes — information the city's own residents wouldn't have, he says. After an initial wave of glowing publicity around Amazon's plan to bring 50,000 jobs to the winning city through HQ2, the search was criticized for lack of transparency around what exactly cities are offering the company to win. Montgomery County, Maryland, one of the 20 finalists Amazon was considering, responded to a FOIA request by sending the New York Times a 10-page document of the financial incentives it offered — with every single line of text redacted. City council members in Indianapolis and Austin, two other finalists, told the Times that their Amazon bids were put together by local chambers of commerce and many city leaders don't even know what incentives are on the table. That's another perk of soliciting hundreds of applications, says Florida of the University of Toronto: "[Amazon] now knows what these communities are willing to dish out in terms of taxpayer funded incentives."